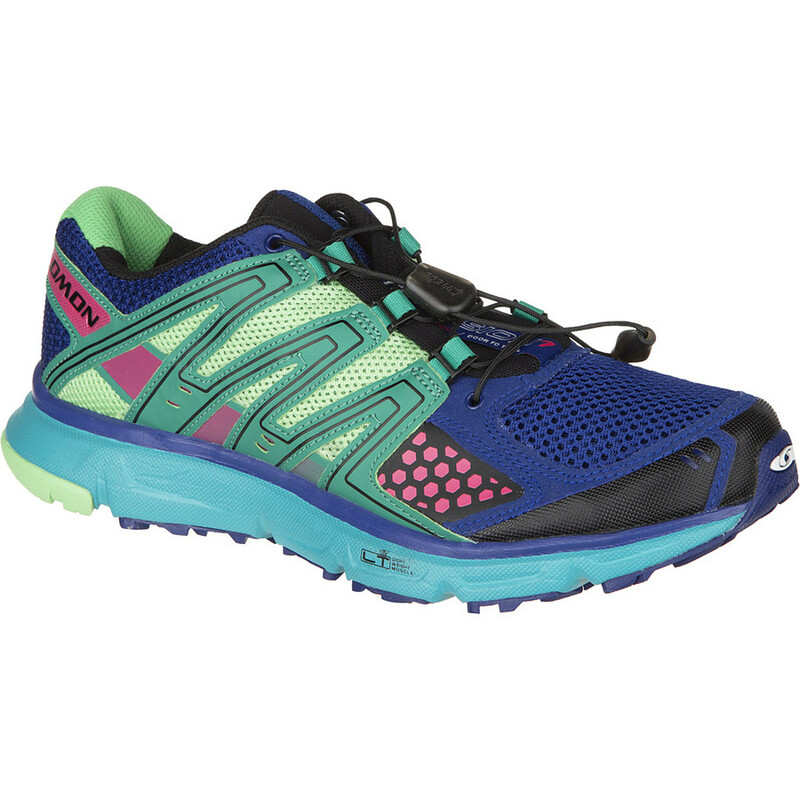 Whether you're training for that spring Ultra you've been eyeing, or you're simply transitioning your road running to the trail, the Salomon XR Mission CS Trail Running Shoes for women are here to help you kick up some dirt. 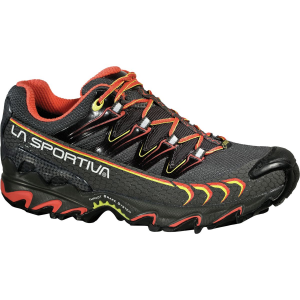 These door-to-trail trail shoes have the look and feel of a lightweight road shoe, but they're burly enough and sturdy enough for the most rugged trails. Designed specifically for women, and tested by women, they feature a last, collar shape and sole hardness based on input and feedback from ladies. The durable nylon mesh upper with synthetic overlays features a Climashield waterproof membrane and a protective TPU toe cap to enhance stability, protection and sturdiness. Inside, an OrthoLite sockliner breathes and wicks sweat to keep your feet dry, comfortable and fresh. The minimalistic Quicklace system lets you get in and out of your shoes with one easy tug. Strong laces hold that perfect, custom fit, and they can be tucked into a lace pocket on the tongue so they're out of your way. The non-marking Contagrip rubber outsole boasts an ideal blend of specialized rubbers for dependable grip and traction over varying surfaces. Built for training runs on trails or the occasional pavement, the women's Salomon XR Mission CS trail-running shoes feature ClimaShield(TM) forefoot membranes for breathable weather protection. CLOSEOUTS . 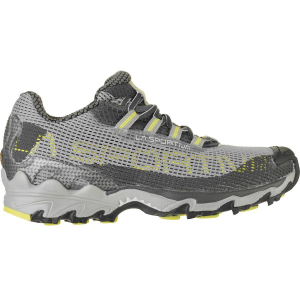 Chock-full of technology to make your trail-running adventure like nothing youand#39;ve ever experienced. 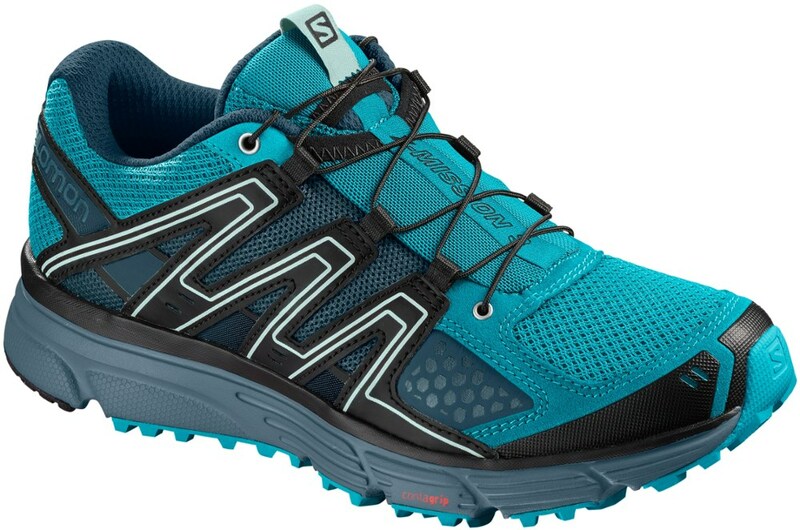 Salomonand#39;s XR Mission CS shoes feature an asymmetrical, women-specific fit, a wide toe box for plenty of room to breathe and a ClimaShieldand#174; mudguard for protection in inclement weather. Available Colors: BLACK/ONYX/PINK, MOOREA BLUE/BLACK/GREEN, GRAPE JUICE/BLACK/BLUE, BLACK/GLACIER/WATER VAPOUR. Sizes: 5, 6, 6.5, 7, 7.5, 8, 8.5, 9, 9.5, 10, 10.5, 11. 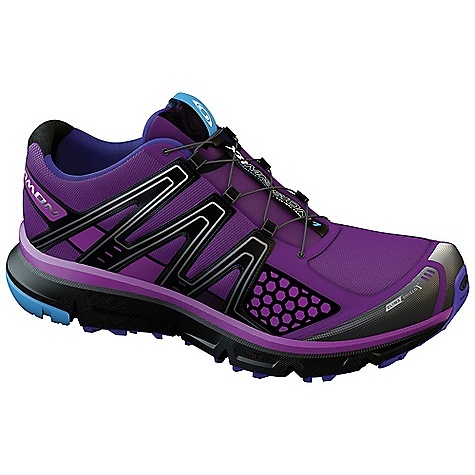 If you run trails in road shoes, the Salomon XR Mission CS is your next shoe. 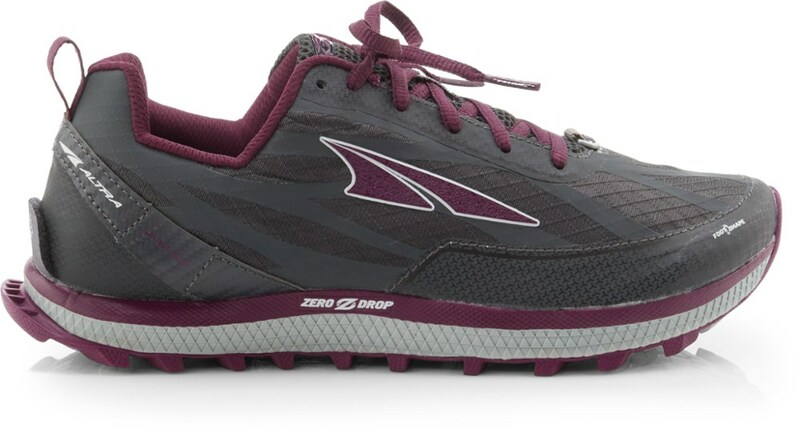 Light, highly cushioned, grippy, and designed specifically for women. The Climashield version adds protection in muddy, cold, or wet conditions with more breathabilty than fully waterproof versions. 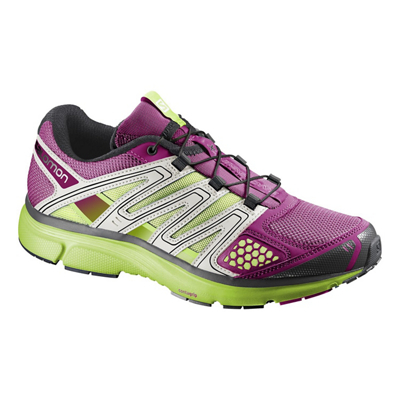 The Salomon Women's XR Mission CS is not available from the stores we monitor. It was last seen September 8, 2016	at REI.